Yith's Wargaming Blog: Something completely different... 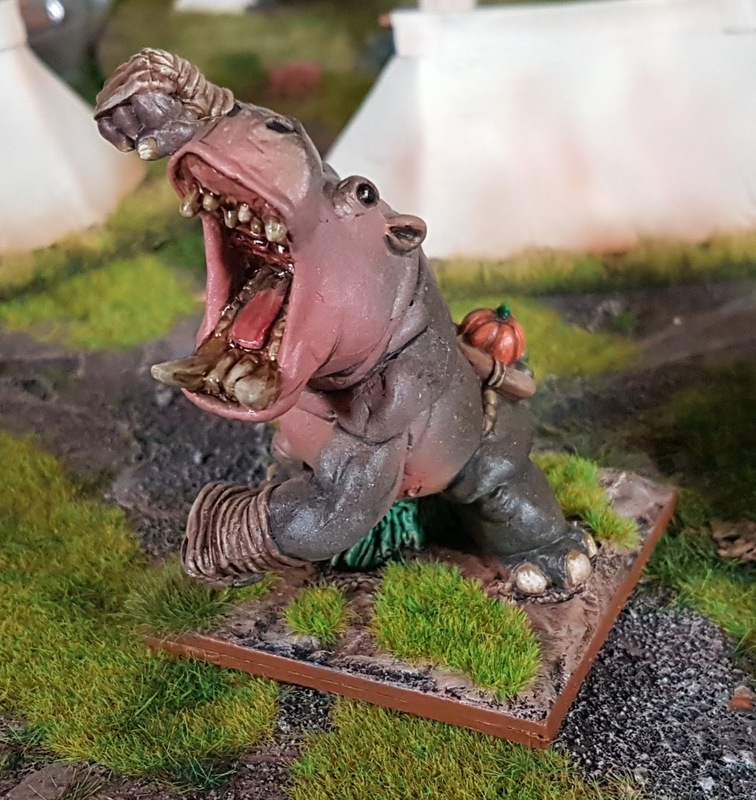 Angry Hippo! In a couple of weeks I'll be attending the "Another Four Foot Snake Thing" Kings of War Tournament. 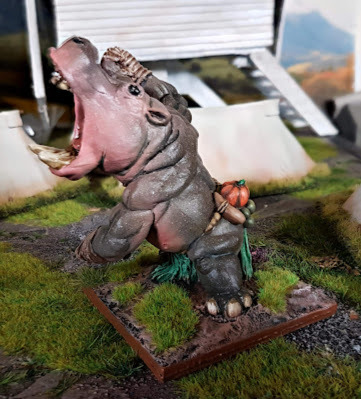 One of the special things about the FFS tournaments is the special characters that you get to include in your army for free. There's a choice of 4 possible and you need to find a suitable model to suit. I decided to go for the "Juggernaut Jon - Taekwon-DOH! 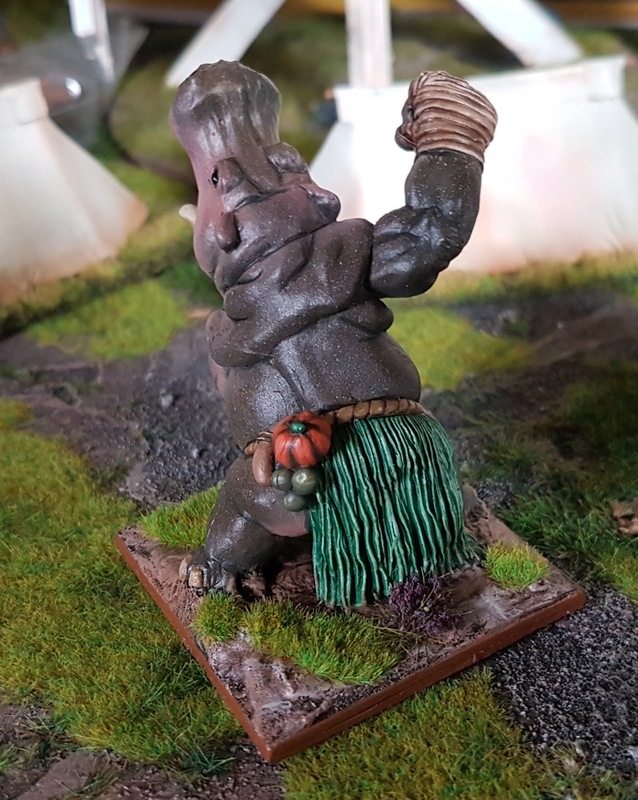 Master" character and that meant I needed a large monster on a 50mm square base that looked like it was punching. 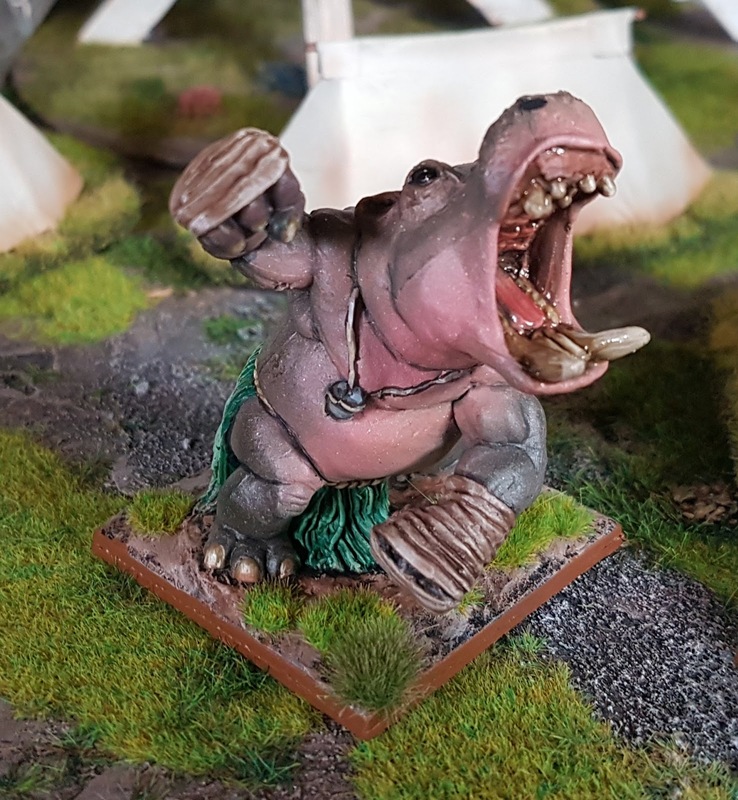 I had a hunt through the Reaper Bones models available on ebay and found the "Avatar of Rage (Hippo)" model. This seemed to tick all the boxes so I went ahead and ordered it. It's a great model and just fits on the required base (after a bit of trimming). This model was my first attempt at properly airbrushing a miniature beyond just priming. The skin tones of a hippo are a perfect subject as they flow smoothly between grey and more a pink flesh shade. I think I pulled this off well, though a final spray with white paint appears to have splattered a bit. Anyway it's got loads of character and I'm really happy with it.